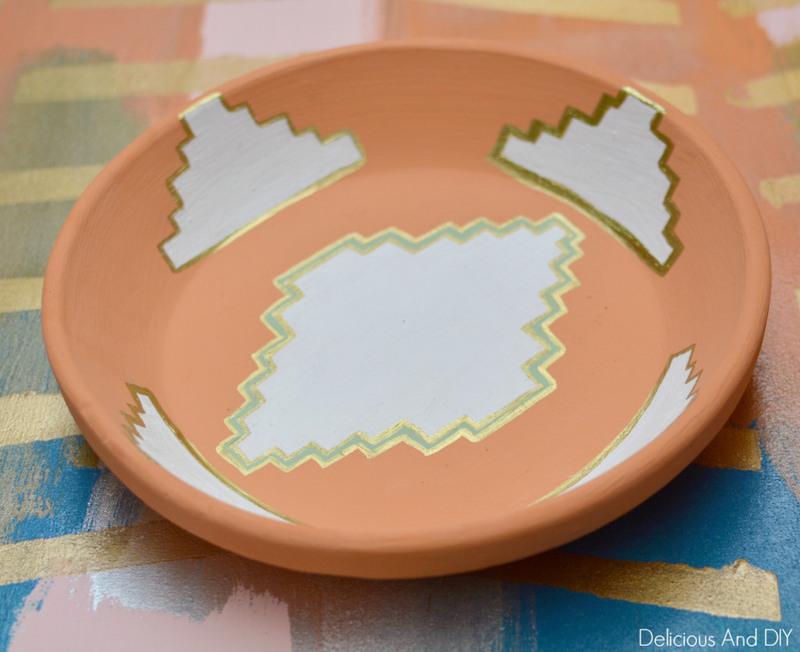 Today I’m sharing with you guys a Round Up of my Clay Bowl Makeovers more specifically Terra Cotta Bowls that I’ve done over the past few months. These are super simple and easy plus they make such a big difference wherever you place them. You can use it for jewelry, rings or place keys in it etc etc. I’ll start off with the one which is my absolute favorite. This one is also one of my favorite makeovers, it was a little time consuming but well worth the hard work. 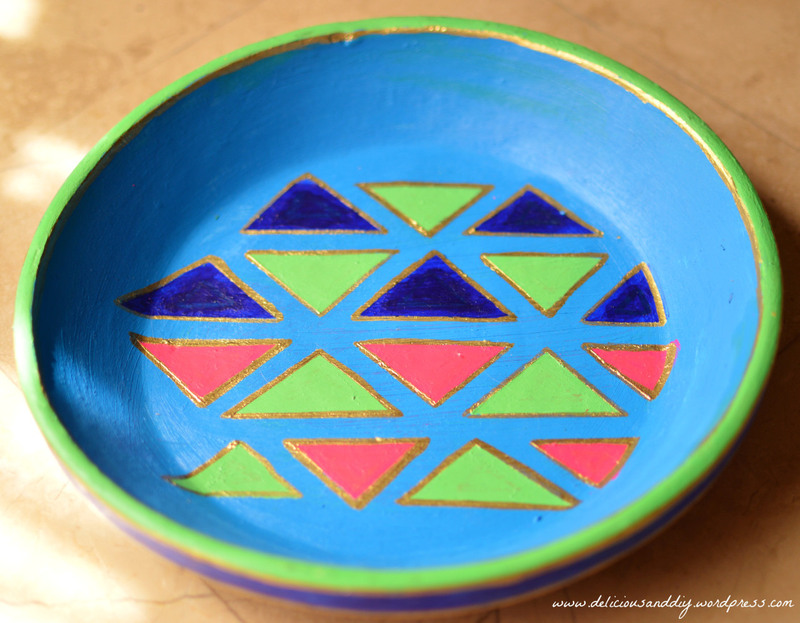 I love everything Aztec as I mentioned above and this bowl was the perfect canvas for this pattern. I hand painted all the designs and finished it off with a Gold Sharpie to give it a clean look. Almost all my projects have a Gold Sharpie element in them, I’m obsessed about it. This was a fun little project since it had all the elements that I love which is color, chevron and Ikat pattern. 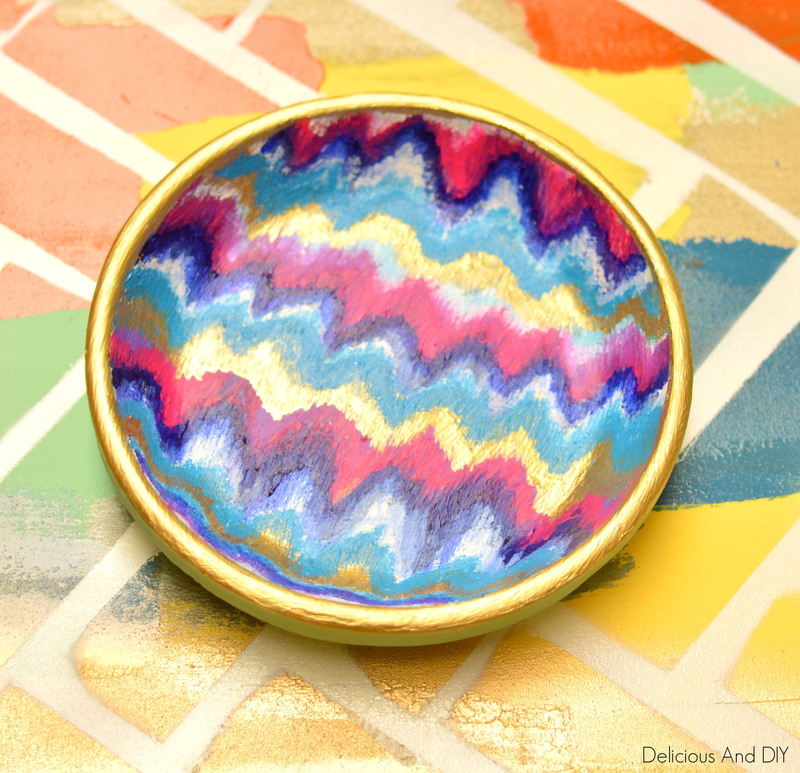 The thing about this pattern is that it is a very forgiving design, you can do absolutely anything, paint it whatever way you like and it will turn out pretty ALWAYS. 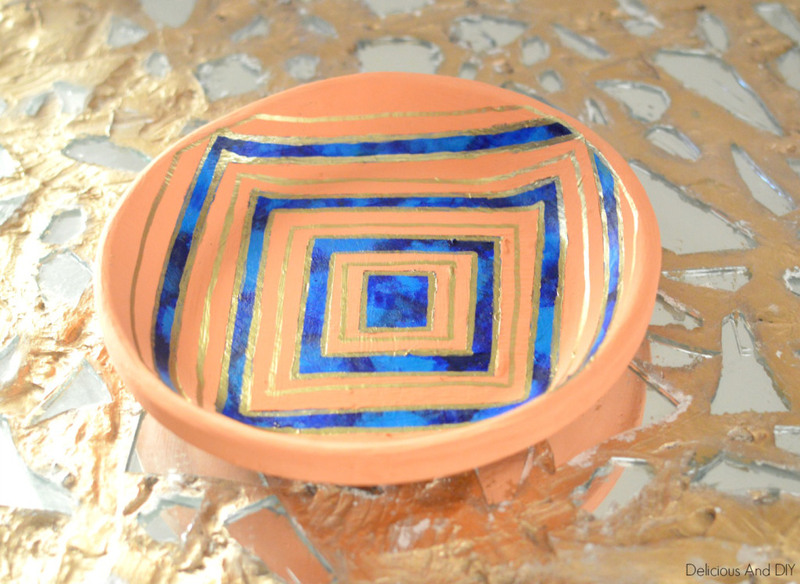 This bowl makeover was a simple one I used masking Tape some blue paint and of course a Gold sharpie. All the details are in the link above. This last version was one of my first Bowl Transformations and at that time I was obsessed with the Mod Triangle trend and this Clay Bowl got the same treatment. 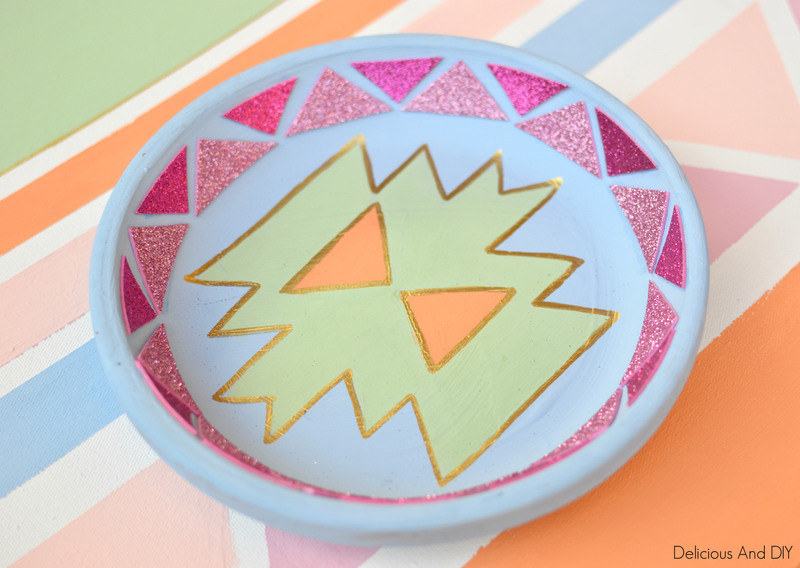 I stenciled out a bunch of triangles and then colored them in with some bright, popping colors and Voila you have a new bowl. And thats pretty much for my Clay Bowl Transformations Roundup.